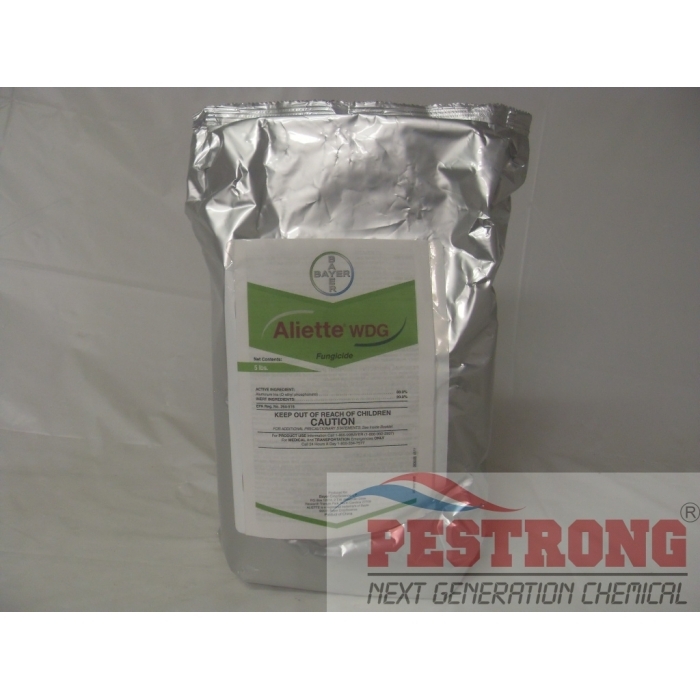 Where to Buy Aliette Fungicide, Aliette WDG Fungicide - 5 Lb - $159.95 for Sale with Fast Free Shipping! Aliette WDG Fungicide - 5 Lb is a systemic fungicide used in a seasonal program for the control of Pythium diseases, such as blight and root rot, and yellow tuft on common turf grasses on golf courses, sod farms sports fields, residential, commercial, and other turfgrass areas. Aliette WDG Fungicide - 5 Lb is fully systemic, providing protection of the entire plant from downy mildew, phytophthora and pythium. It also controls Fire Blight and suppresses certain pathovars of Xanthomonas campestris. It has proven historical use for over 30 years with no documented cases of resistance. We carry two type of aliette fungicide. One is for use ornamental (EPA REG# 432-890) called Aliette WDG Brand Fungicide, other type is for use field crop (agricultural use) (EPA REG# 264-516) called Aliette WDG Fungicide. Both are same formulation with same ingredient & rate, but different label. Choose right product for you. This fungicide is fairly expensive, but if you want a highly effective one, then price means little. Aliette WDG is one of the highly effective fungicides I am talking about. This one more than gets rid of the disease, it provides complete protection for the whole plant.